England accepted Nomination of Sachin for Knighthood. Actually, Mr.S.S.Dogra-Sports Lover sent a letter to Queen Elizabeth II on 13th April,2012. In response to Mr. Dogra request the queen forwarded the request to Foreign & Commonwealth Office, the concerned authority. Consequently, Foreign & Commonwealth Office, asked Mr. Dogra to send the nomination for Knighthood. 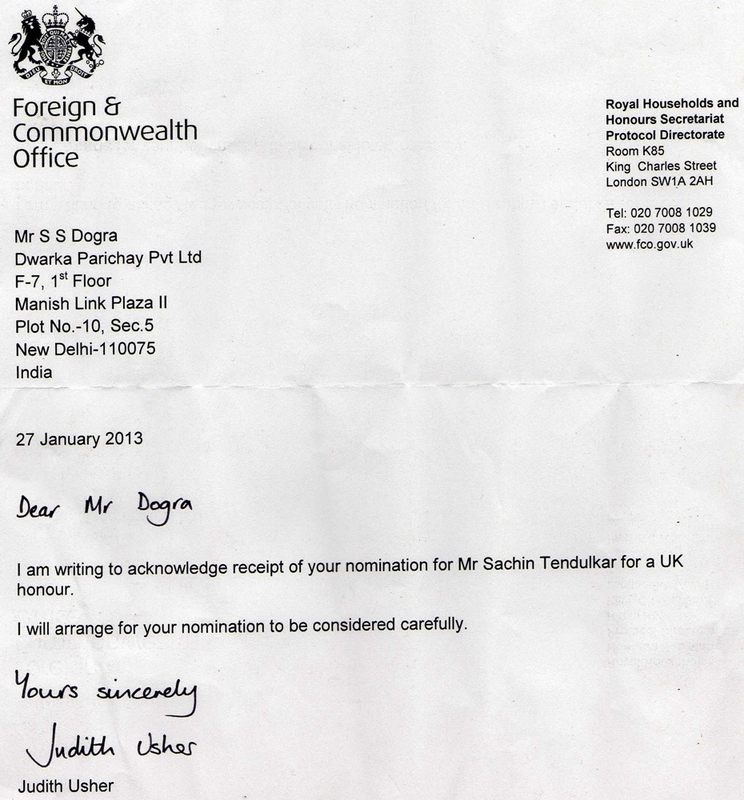 Mr.Dogra send the same and Mr.Judith Usher acknowledge the nomination of Sachin Tendulkar . Soon Sachin will be awarded as Sir for his valuable contribution in Cricket game.